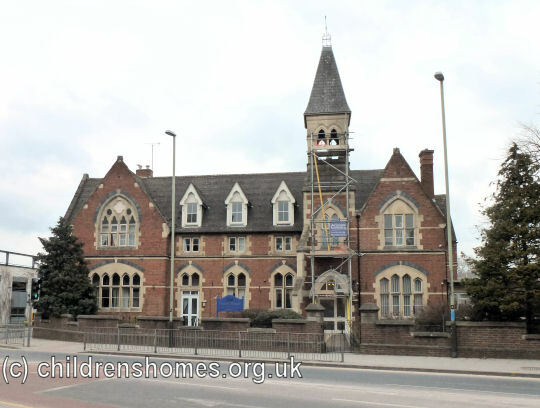 An Orphan Asylum for Girls was established in Cheltenham in 1806. 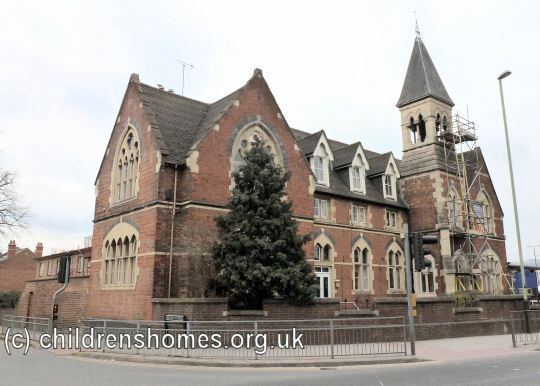 Proposals for a similar institution for boys were made in 1844, with land for a building on St Margaret's Road being given by Miss Jane Cooke in 1850. Miss Cooke died before the formal transfer of ownership of the site had taken place. However, its use donation for the purpose was confirmed by its new owner, the Rev. M Bonner. Fund raising for construction of the building proved very slow. Finally, on May 25th, 1865, the foundation stone of the premises was laid by the Rev. E. Walker. The building was completed by February 1867, but a further delay was caused while money was raised to furnish the establishment. The first boys elected for admission were: Albert E. Barfield, Cheltenham; George Stalker Cheltenham; Edward Cox, Oxford; W.D. Salesbury, Cheltenham ; Frederick John Fry, Charlton Kings; and John Bostwick, Cheltenham. The building was designed by Mr. W.H. Knight and the construction work carried out by Messrs. Billings and Son. The front of the building was in red brick, with white stone facings, with a turret tower at the centre, with a height of seventy feet from the ground to the weather vane. The front entrance to the building lay through an archway under the tower into a porch, and from there into a spacious hall; on the left of this was a dining room, 30 feet by 19, on the right were the matron's rooms, with the usual domestic offices at the rear of the building. The institution could accommodate a total of 20 boys. The building made no provision for classrooms. Ideally, these would have been constructed on a piece of vacant land adjacent the site, but there had been insufficient funds to provide for this. The Asylum site is shown on the 1903 map below. 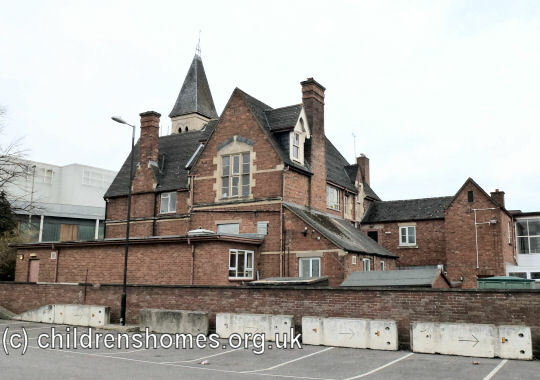 Orphan Asylum for Boys site, Cheltenham, c.1903. The property is now used as a residential care home.